Please Note: The Louisville Zoo is a 501(c)(3) nonprofit and we do not provide sponsorships or cash donations to other charities. Click here for information on ticket requests for non-profit organizations. 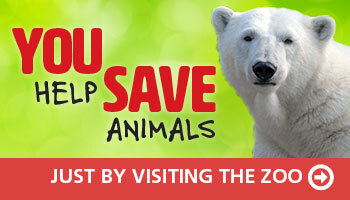 WHY PARTNER WITH THE LOUISVILLE ZOO? The Louisville Zoo invites you to become a partner in supporting Zoo conservation, education and environmental initiatives through a corporate sponsorship/strategic partnership. The non-profit Louisville Zoo is a premier event marketing property that can help you deliver your message to your target audience in an uncluttered environment through a number of cause-related marketing opportunities. Becoming a sponsor at the Louisville Zoo can help you reach consumers in a way traditional advertising does not — by reaching them through their daily life experience. Events touch customers. Events can impact brand. Events build brand equity. Zoo sponsorship can create heightened corporate image and brand awareness while demonstrating social responsibility and community involvement: a seamless package designed to directly influence consumer behavior. The Louisville Zoo has attendance of over 850,000 annually, plus a loyal membership base of over 35,000 households — one of the highest membership penetrations in the region and larger than the circulation of regional family-focused magazines. The Louisville Zoo has many media partners in print, television and radio that help strengthen sponsored events and programs. All programs and events are executed under the guidance of a marketing staff that prides itself on creating quality experiences for our guests and sponsors. Our objective is to help you effectively reach your target audience through partnership with the award-winning and non-profit Louisville Zoo. Contact Terri Lenahan-Downs, Sponsorship Director at 502-238-5330 or email terri.lenahan-downs@louisvilleky.gov for more information.